This user is a former Bureaucrat of the Super Mario Wiki. This user loves Princess Shokora. This user is skilled at ripping Virtual Boy sprites. This user is friends with Master R.O.B. This user is a friend of Hyper Yoshi. This user has befriended Joeypmario in 2012. 50px This user is friends with Tbagger. This user is friends with SuperPickle and thinks his userbox image is creepy. 50px This user is friends with New Super Yoshi! This user has a friendship with MarioSmasher! 60px This user is a friend of Super Radio... wait... is there a shark behind you? 40px This user is friends with Akfamilyhome! This user is friends with Mario4Ever. This user is friends with SuperPaperFan! This user is a friend of Mario jc's. This user is a friend of smb1. 50px This user is a friend of meeper. 50px This user is friends with World10. This user is a friend of Sumo Kong! Uhh, I mean It's a me, Mario!! (talk). 45px This user objects to not being a friend of Commander Code-8 (talk). 75px This user is a loyal minion (friend) of Dry Bowser rules! 40px This user is friends with Super Nintendo 64. This user is friends with MushroomMan3. This user is friends with YoshiKong on the Super Mario Wiki. This user is suuuuper good friends with RosalinaSilverCrown! This user is an awesome friend of SmartYoshi. This user is a quick friend of Lakituthequick. BowserDude729 This user is an awesome friend of Bowserdude729! This user is friends with R3D347H. This user is CRAZY FOR (aka friends with) MarioManiac164! This user has joined the dark side and is now friend with InvincibleZtar (talk). 45px This user is big friends with MegaKoopa. 50px This user is friends with Mariotime11. This user is friends with BowserJr.0201. This user is friends with King Pikante. 30px This user is a friend of BowserWorld2!!!!!!. This user was friends with GreenYoshi11. 75px This user has declared eternal allegiance (I mean, befriended) Goomba (talk). 50px This user is friends with the legendary hero, Ness. This user is great friends with MortonBoo99. This user is the best friend of Gonzales Kart Inc. This user is friends with TheFlameChomp! This user is a slave servant underling friend of Lord Bowser (talk). Hey, and welcome to my page. I'm known as Shokora 'round here, although you may also recognize me under my former name YoshiKong. If you would like to know more about me, I'm a young Aussie-Italian who grew up on a Game Boy Micro, with games that include Wario Land 4, Mario & Luigi: Superstar Saga, Donkey Kong Country 3 and Yoshi's Island: Super Mario Advance 3. Although I'm not a very big gamer nowadays, I have a strong interest in contributing information to the Wario Land series articles, the Virtual Boy legacy, new game artwork releases, as well as discussions concerning the wiki's policy pages. Additionally, if you have information about any audio samples used in Mario games not seen on this page, then please contact me. Outside of games and the wiki, I'm an aspiring nutritionist, with a strong interest in the textiles and fashion industry. I have an occassional flair for story writing and photography. I also love jazz and soul music from African-American singers, and the Film Noir period of Hollywood cinema. Long term goals and projects of mine. 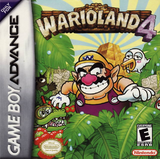 Bring Wario Land 4 to feature status. Clean up Virtual Boy Wario Land and bring it to feature status. Draft an overhaul of Help:Image and MarioWiki:Image use policy. Replace all refs to the "Super Mario Daijiten" with more credible sources (forum thread). Provide complete coverage for the Donkey Kong Country children's novel trilogy. Provide complete coverage for Yoshi Topsy Turvy, because the pages are currently standing on their head. Buy myself a Virtual Boy. I'm happy to exchange friend userboxes on request! YoshiKong (talk) has won a 'Shroom Award in the Super Mario Wiki Awards Ceremony! Shokora has won a Mario Award in the 2017 Awards Ceremony! !